A sweet, curvy heart shaped blank in a festoon link configuration. 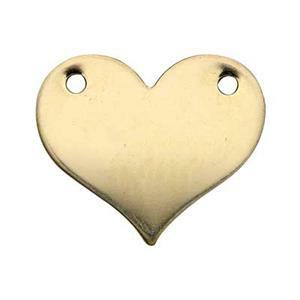 Link this little lovely right in the center of your gold filled chain for a classic keepsake. Perfect for custom metal stamping work or simple, geometric layering.